Legend has it that when the old St. Augustine’s Church in Philadelphia had shrunk to a few dozen congregants in late 1980s, it was Dr. Restituto Estacio – armed with a small statue of the Santo Nino — who rallied support from the Filipino community. Today, the church highlights in its website the importance of Filipino Catholics for its survival, and how St. Augustine is now the “parish of choice for many Filipino Americans in the Philadelphia area.” There are novena prayers to the Santo Nino every Sunday, and the FilAm community of the Delaware Valley celebrates a yearly ‘Sinulog’ street festival. 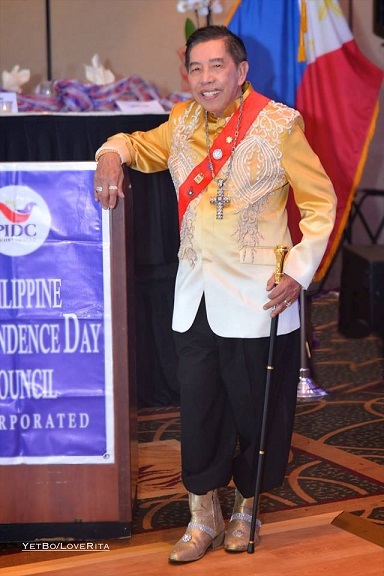 Philippine Independence Day Council, Inc. (PIDCI) Grand Marshal Estacio, 84, takes pride in being at the forefront of that campaign. He recounted to The FilAm how it all started. Early 1990s, he said, was around the time his devotion to the Santo Nino had taken root. “It was providential.” St. Augustine Catholic Church – built in 1801 and renovated in 1848 — was very old and in need of repair. The churchgoers were few, and mostly from other ethnic communities. 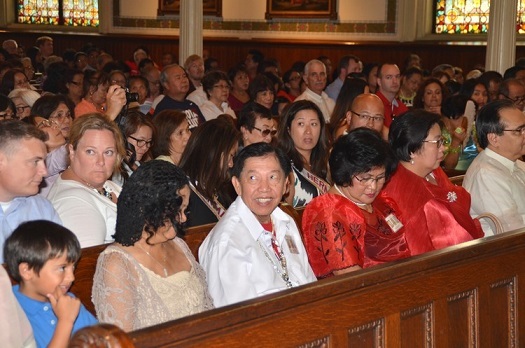 A priest asked him, “How do you like to have your own church?” His reply was, “Oh my God, that’s our dream.” He gathered Filipino Catholics in Philly and, in 1992, began their devotion to the Santo Nino in the historic church. As the flock grew so did contributions which enabled the church to fix itself, starting with the weather-beaten steeple. Estacio organized a ceremony to enshrine the Santo Nino and ordered catering for 100 people. By his account, “Aba, 900 people came. Napuno yung second floor (of the church). The caterer said, ‘I don’t know what happened, I cooked for 100 people but all these people were fed.’ We call it the Miracle of Meatballs,” he recalled with pride and with a chuckle. 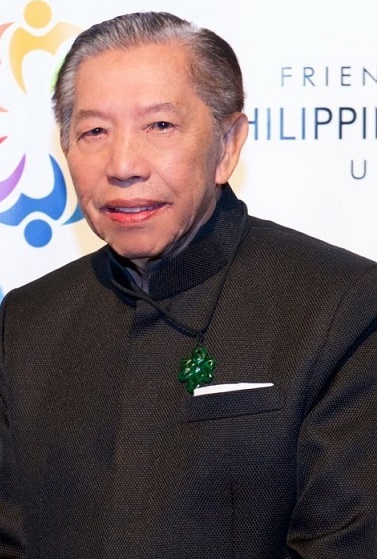 Estacio came to the U.S. in 1959 shortly after getting his medical degree from the Manila Central University College of Medicine in Caloocan City. “Pag pasa ko ng board, umalis na ako. Dito na ako naghintay ng result ng medical board. Intern na agad ako, Harlem Columbia Presbyterian, NYU, Bellevue,” he said. He had his residency at the Harlem Hospital Center, an affiliate of Columbia University, and completed several fellowships. As a doctor, he specialized in Internal Medicine, Aerospace Medicine, and Pediatrics. One of the stories passed around in PIDCI is how he delivered 25 babies a day. “Totoo iyan,” he said. His wife Carmen Estacio passed away in September 2017 at the age of 84. She was, for 20 years, a house physician in the I.C.U. at West Jersey Hospital Eastern Division in Voorhees. They have three children: Emmanuel and Michael, who are both doctors; and Annabelle, a journalist. They have four grandchildren: Tim, Steven, Serena and Ava. The offer to become PIDCI Grand Marshal appeared to come at a time when Estacio is by his lonesome although not alone because his family is nearby. By curious coincidence, this year’s street festival will feature the Dinagyang and Manggahan dance companies that both honor the Santo Nino. “PIDCI keeps me young. I enjoy coming to New York for meetings, for parties,” he shared. His advice to seniors? Stay healthy, enjoy life, and be religious.